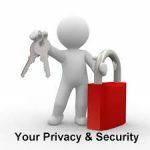 Singleton Training Services Ltd are committed to protecting and respecting your privacy. For the purpose of the Data Protection Act 1998 (the Act), the data controller is Singleton Training Services Ltd, The Limes Training Centre, Deacon Rd, Lincoln. LN2 4JB. Our data controller is Nigel Singleton. • Information that you provide by filling in forms on our site. This includes information provided at the time of registering to use our site, subscribing to our service or requesting further services. We may also ask you for information when you report a problem with our site. We may collect information about your computer, including where available your IP address, operating system and browser type, for system administration and to report aggregate information to our advertisers. This is statistical data about our users’ browsing actions and patterns, and does not identify any individual; we will not collect personal information in this way. • Estimate our audience size and usage pattern. • Store information about your preferences, and so allow us to customise our site according to your individual interests. • Recognise you when you return to our site. All information you provide to us is stored on our secure servers. We will encrypt any payment transactions. Where we have given you (or where you have chosen) a password which enables you to access certain parts of our site, you are responsible for keeping this password confidential. We ask you not to share a password with anyone. Unfortunately, the transmission of information via the internet is not completely secure. Although we will do our best to protect your personal data; we cannot guarantee the security of your data transmitted to our site; any transmission is at your own risk. Once we have received your information, we will use strict procedures and security features to try to prevent unauthorised access. Data will be held for no longer than is necessary. Various other pieces of legislation may stipulate mandatory holding times e.g. tax affairs (7 years). We will ensure a data cleansing process is in place and review data held on an annual basis. • We will ensure that we present content from our site in the most effective manner for you and your computer. • Provide you with information, products or services that you request from us or which we feel may interest you, where you have consented to be contacted for such purposes. • Carry out our obligations arising from any contracts entered into between you and us. • Allow you to participate in interactive features of our service, when you choose to do so. We may also use your data, or permit selected third parties to use your data, to provide you with information about goods and services which may be of interest to you and we or they may contact you about these by (post, email or telephone). If you do not want us to use your data in this way; or to pass your details on to third parties for marketing purposes, please tick the relevant box situated on the form on which we collect your data. • In the event that we sell or buy any business or assets. In this case we may disclose your personal data to the prospective seller or buyer of such business or assets. • If we have a legal duty to disclose or share your personal data. This includes exchanging information with other companies and organisations for the purposes of fraud protection and credit risk reduction. You have the right to ask us not to process your personal data for marketing purposes. We will usually inform you (before collecting your data) if we intend to use your data for such purposes. We will also inform you if we intend to disclose your information to any third party for such purposes. You can prevent such processing by checking certain boxes on the forms we use to collect data. You can also exercise the right at any time by contacting us at office@singleton-associates.org. Our site may contain links to and from the websites of our partner networks, advertisers and affiliates. These websites may have their own privacy policies and we do not accept any responsibility or liability for these policies. Please check these policies before you submit any personal data to these websites. You have the right to complain about our policy or processing of your data. In the first instance complaints should be addressed to the Data Controller named above. The Act gives you the right to access information held about you. You may exercise your right of access in accordance with the Act. Any access request will be dealt with within one calendar month of the request being received. There will be no charge for the first instance of a data access request. There is a form at the base of this policy to make a data request.